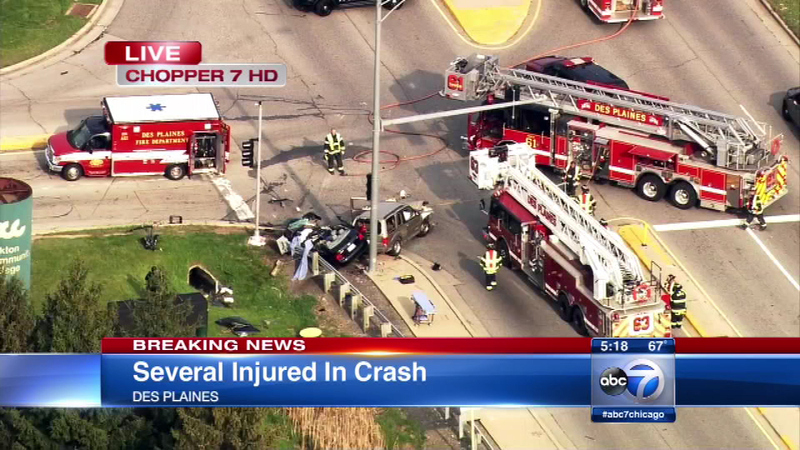 DES PLAINES, Ill. (WLS) -- Des Plaines fire officials say four people were injured in a car crash on Golf Road near River Road. Golf Road is closed between River Road and East River Road. Officials did not comment on the conditions of the people involved in the crash. The investigation is ongoing.